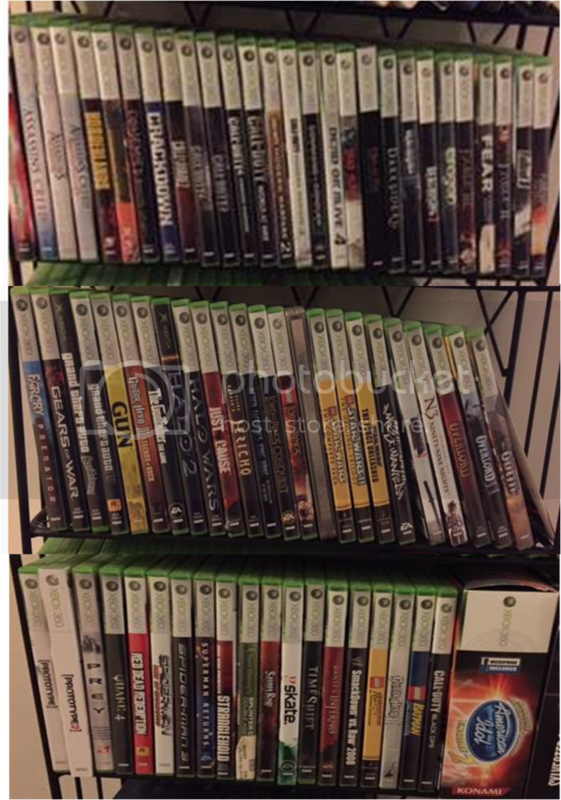 For trade are the 70 used Xbox 360 games in the picture below. Most of these games are going for $10-$15 each on ebay. I’m giving it a trade value of $500. To the best of my knowledge they all work except for the Tony Hawk skate game. My kid said it might have issues and we don’t have a 360 anymore to test it on. I don’t have the instruments for the Guitar Hero or American Idol games. I like all things Benchmade, Surefire, Mags and ammo are always nice and I’ll listen to anything else you want to offer. I’m specifically looking for a Noveske 16.7 NSR. Once a deal is made, if you’re feedback number is higher than mine, I’ll ship first and vice-versa. I’m not looking to split these up. Let me know if you have any questions. IM or email works fine.